At SMC, I finally learned what it means to be a feminist. Saint Mary’s turned me into a feminist. No, not a bra-burning, man-hating feminist. And I don’t believe believing in feminism means a woman has to pursue a career, be pro-choice, forgo girly things, vote Democrat, or anything else stereotypically “feminist.” To me, feminism is having options. When I came to Saint Mary’s, I really wasn’t all too into feminism and gender rights. To be honest, I actually was in opposition to the whole thing. “Gender equality isn’t an issue anymore,” I’d assert. “Feminism is outdated and unneeded.” To be frank, I felt feminism should just be ignored. But then I chose a women’s college, where feminism is anything but ignored. I came to Saint Mary’s thinking I’d never get rid of my original values, and that I wouldn’t be influenced by all the #YesAllWomen around me. But, then I took Marne Austin’s Comm class (and about a dozen Women’s Voices courses, because really, most classes are), and saw "Miss Representation" at least 300 times, and I finally started seeing the issue everyone around me was so fired up about it. Once you’ve got all the facts, it’s pretty hard to say women and men are totally on par in the United States. 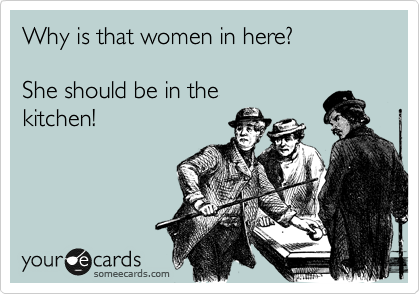 Women make up 51 percent of this country, but only 17 percent of the seats in Congress are held by women. Because you know, that’s an accurate representation of the U.S and that gender wage gap people love to tweet about is real; women make 78 cents for every dollar a man makes. The gap even goes beyond gender: women are less likely to have access to health benefits and and retirement plans. And don’t even get me started on the number of stories I’ve heard about girls being asked to actually leave school and change because their outfit was “distracting” for male classmates. But I came to SMC, and here, you see every sort of girl asserting her feminist beliefs, from the Lilly-wearing southern belles to the girls wearing pajamas to class. 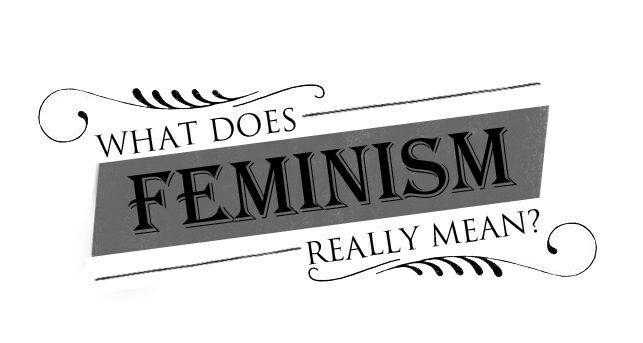 So if so many different people believe in feminism…what is it? To me, feminism is having choices. Feminism doesn’t mean I have to have a thriving career, it means I can chose to. It doesn’t mean I have to forgo marriage, it means I don’t need a husband to define my value if I don’t want one. I can work in finance, or I can be a stay-at-home mom. I can shave my legs, or I can rock the peach fuzz. I can wear makeup to work, or I can go au naturel. I’m pro-life, but I don’t disregard women who are pro-choice. We’re allowed to have different beliefs. I’m not voting for Hillary Clinton, but it’s not because of her gender. I fully support the idea of a woman president, I just don’t think Hillary Clinton is right for the job. I can’t wait to have kids, but I’m glad it isn’t the only path I have to take in life. The point is, I have the choice. Feminism doesn’t mean I run around thinking I’m smarter and stronger than men, it means I have just as many options as they do. And that’s why I’m proud to call myself a feminist.